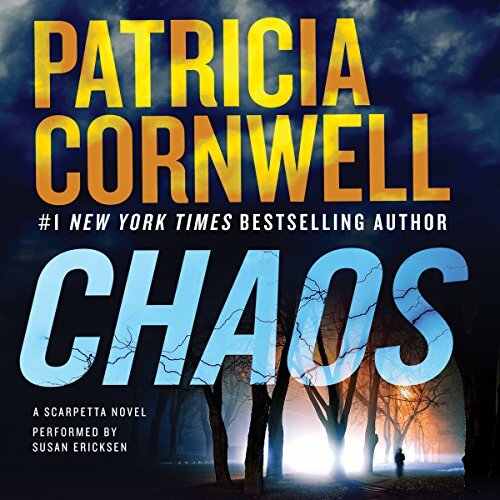 Number-one New York Times best-selling author Patricia Cornwell returns with the remarkable 24th thriller in her popular high-stakes series starring medical examiner Dr. Kay Scarpetta. In the quiet of twilight, on an early autumn day, 26-year-old Elisa Vandersteel is killed while riding her bicycle along the Charles River. It appears she was struck by lightning - except the weather is perfectly clear, with not a cloud in sight. Dr. Kay Scarpetta, the Cambridge Forensic Center's director and chief, decides at the scene that this is no accidental act of God. Her investigation becomes complicated when she begins receiving a flurry of bizarre poems from an anonymous cyberbully who calls himself Tailend Charlie. Though subsequent lab results support Scarpetta's conclusions, the threatening messages don't stop. When the tenth poem arrives exactly 24 hours after Elisa's death, Scarpetta begins to suspect the harasser is involved and sounds the alarm to her investigative partner, Pete Marino, and her husband, FBI analyst Benton Wesley. She also enlists the help of her niece, Lucy. But to Scarpetta's surprise, tracking the slippery Tailend Charlie is nearly impossible, even for someone as brilliant as her niece. Also, Lucy can't explain how this anonymous nemesis could have access to private information. To make matters worse, a venomous media is whipping the public into a frenzy, questioning the seasoned forensics chief's judgment and "a quack cause of death on a par with spontaneous combustion". What disappointed you about Chaos? 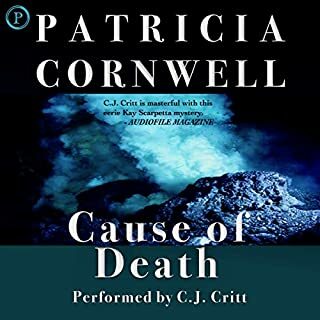 I haven't listened to a book by Patricia Cornwell in several years so I decided to give this one a chance. What a disappointment. The same self-centered arrogant star--Kay Scarpetta--who apparently does not have the sense to get out of the hot sunshine! And the same angst ridden cohort of characters. Tired plot lines--cyber-bullying and child abduction. And the occasional references to global warning and the general homophobic population. The performance by Susan Ericksen was not at fault. She had terrible material. What a waste of my time and money. Wasn't at all like her other novels. Too much background and not enough about the crime and murderer. I keep asking myself why do I bother to continue to read this series. Cornwell has gotten into a typical pattern and the ending is easy to figure out. On the other hand, the forensic detail is most interesting and new developments in the fields are also included in the story. Kay Scarpetta is head of the Cambridge Forensic Center in Massachusetts. Kay is called to a scene after a 23-year-old cyclist, Elisa Vandersteel, is found dead. Also on scene is detective Pet Marino. On the personal side, Kay has been receiving prank calls from someone called “Tail-end Charlie”; all the calls are in Italian. Kay’s sister, Dorothy, is coming for a visit. Carrie Grethen, the psychopath serial killer, returns. When will Cornwell put this character to rest? She has killed her off only to have her come back. I, for one, am sick and tired of Carrie. My favorite character is Lucy, but she played only a minor role in this story. The book dragged and is in need of serious work by an editor. Cornwell spent more than half the book on back story. It is as if she had to summarize all the prior 23 books into this story. Also, the book had a lot of meaningless internal monologue. There has been a significant decline in writing skills, unless there was a mistake and the publisher accidently published the first draft instead of the final one. 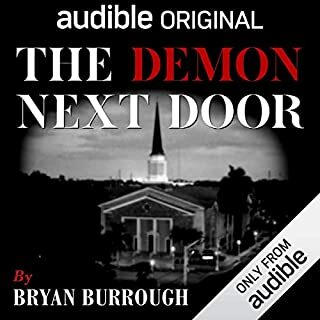 The series has had many different narrators over the 24 editions. This book and the last one, book 23, have had the same narrator, Susan Erickson. Erickson did her usual good job narrating the book. Erickson is an actress and multi-award winning audiobook narrator. I remember Patricia Daniels in 1979 when she was a young reporter with our local news rag (the Charlotte Observer cannot be reasonably called a newspaper). After a year or so she was married and became Patricia Cornwell. The marriage did not last long, but she kept his name. 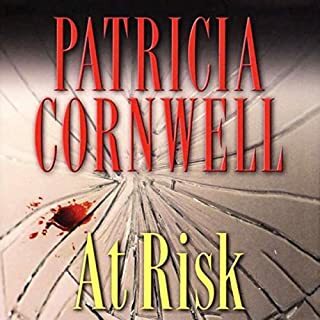 When Patricia Cornwell released her first novel which was Kay Scarpetta book 1 titled Postmortem in 1990, I bought a copy and read it and liked it. Since then I have purchased and read or listened to a copy of every novel in the Kay Scarpetta series within a few weeks of release. I've followed Scarpetta from Richmond to Miami to New York to Boston as Marino, her investigator, followed her and as her niece Lucy grew from an early teen precocious kid to the very wealthy mid 30's techno force. I've read or listened to all 24 novels. 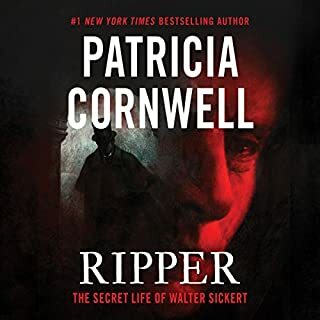 Along the way Cornwell has tried to keep the Scarpetta character fresh as Scarpetta moved around and along the way broke up FBI profiler Benton Wesley's marriage and married him herself. Wesley supposedly died for a couple of novels but returned unhurt after being in hiding. I want to like Chaos and I did until the very end when Cornwell introduces an unnecessary twist that I really, really, really dislike. I so dislike it that I am downrating what was a 4 or 5 star novel to 3 stars. I may give up on Patricia Cornwell after 26 years because of what I see as a cheap literary trick, We shall see. Susan Ericksen is a capable narrator and she did fine with Chaos. I used to LOVE the books in this series. This one didn't get started until many many chapters in and only held my attention for short periods. There were some interesting ideas in the book but it was not expertly developed as in earlier novels. I'm pretty sure the narrator is different and sometimes that kills an otherwise good book, so that could be part of the problem. 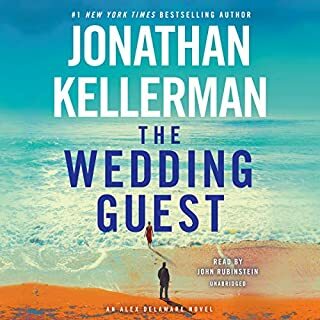 In this audiobook Scarpetta comes of as a whinny, man-obsessed, home-wrecker and not the strong brilliant professional woman I remember from earlier books. The narrator did a much better job of representing multiple characters without sounding ridiculous like some narrators so I'm reluctant to blame it on a bad narrator. I really wanted to like the book, but I didn't. Clearly some reviewers enjoyed it, but I'm with the other reviewers who didn't. I don't review many books and I'm doing it to hopefully save some people a lost credit. Not a bad story, just really slow to develop. I have heard all of this series, and this is the worst "reading " by far. It was if the narrator was stoned. Hope the next book is better. I have been reading these books for years. Kay has always been fiercely independent but she seems to be so angry all the time. Got old in this one. This book was not up to her usual excellent. Everyone being continually angry and incensed got tiresome. The Carrie storyline is old I wish she had died off. The big twist at the end left me feeling like I don't want to read the next book. What's happening to Patricia Cornwall ? 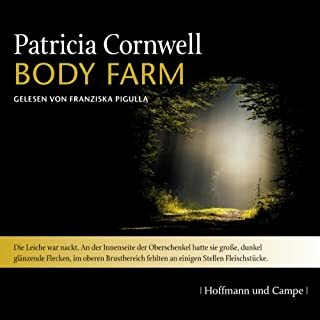 For quite some time I have found Patricia Cornwalls books getting weaker and weaker. In Chaos, the writing is convoluted and to a large extent chapter upon chapter of unimportant, boring details that do nothing to add to the story line. This book doesn't really get going until the book is 2/3 finished. Compared to her earlier books, that had entertaining characters, interesting dynamics between characters, gruesome details and thrilling suspense, this book was boring and underwhelming. Very disappointing effort from a once terrific author. I've read several Patricia Cornwell books and this was by far the worst. So much dialogue on personal and family problems and much less on the actual crime incident. And - nothing is resolved at the end of the story! I had to check to make sure I had downloaded the whole book. It wasn't the narrator's fault. If you could play editor, what scene or scenes would you have cut from Chaos? All the dialog about the police officer, her sister, etc. Stay on plot!